Late last week, the Environmental Appeals Board (EAB or Board) in Washington, DC rejected two air permits issued by the Environmental Protection Agency (EPA) to Shell Oil for proposed offshore drilling projects in the Arctic. The Crag Law Center represented local Inupiat organizations in the case, including the Alaska Eskimo Whaling Commission and the Inupiat Community of the Arctic Slope, a federally recognized tribal government. Shell’s offshore drilling proposal would emit thousands of tons of pollutants into the pristine air sheds of the Chukchi and Beaufort Seas, including nitrous oxides, particular matter, and carbon dioxide. 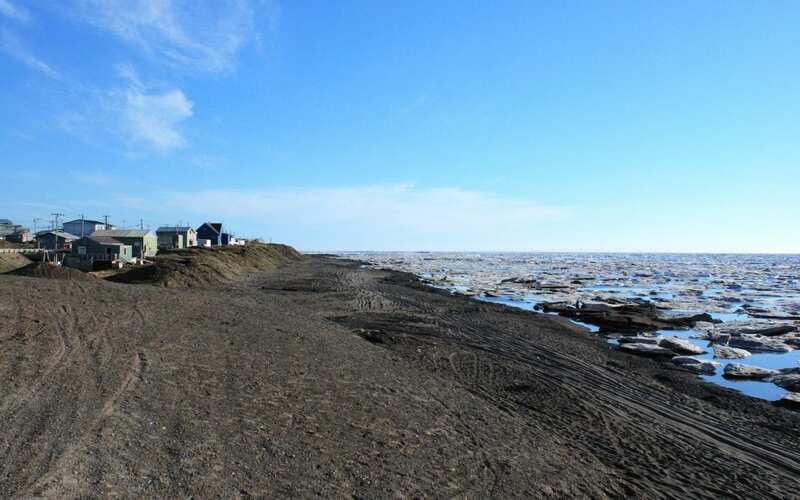 The local communities already suffer from high rates of respiratory diseases like asthma, and they are concerned that the additional pollution will contribute to public health concerns on the North Slope. In an important victory for the local communities, the EAB sent the permits back to EPA Region 10. The Board held that EPA Region 10 failed to address the local community’s environmental justice concerns and the potential health impacts of NOx emissions. In issuing the permits, EPA Region10 relied on outdated standards and science that were almost 15 years old in concluding that the drilling operations and NOx emissions posed no threat to the health of local people. The Board returned the permits to Region 10 of EPA noting the local communities’ use of offshore areas for subsistence purposes and asking Region 10 to incorporate the most recent scientific information before concluding that Shell’s proposed operations are safe for the local community. The EAB also overturned Region 10’s determination of when the 514 foot drillship becomes a source subject to permit requirements. In the permits, Region 10 allowed Shell to unilaterally determine when the drillship becomes a source and therefore when the permit requirements begin to apply to Shell’s operations. The Board noted that EPA had no way to verify Shell’s decision and that the agency had inappropriately delegated its regulatory authority over air quality to a private oil company. Shell had previously announced plans to drill at least one well in the Beaufort Sea in 2011, but those plans are now up in the air because of the EAB decision. This is the second time that Shell’s air permits have been rejected by the Environmental Appeals Board, and there is no current timetable for when EPA Region 10 will be able to reissue draft permits for public comment.